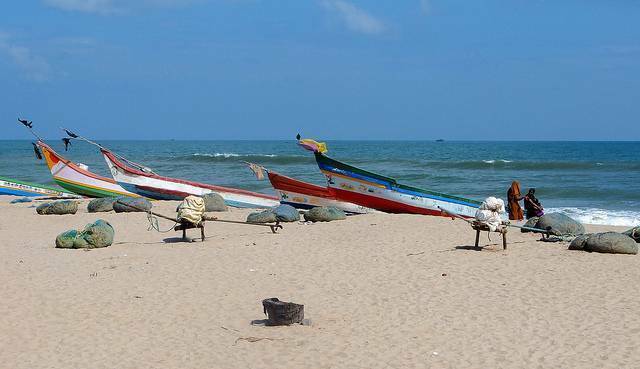 Veerampattinam Beach lies in the coastal village by same name and is about 7 KMs from city center of Pondicherry. The beach is beautiful and has river joining sea on both sides. Fishing activity in the waters adds the ambience of the place. Veerampattinam Beach can be reached by road or even by a boat.